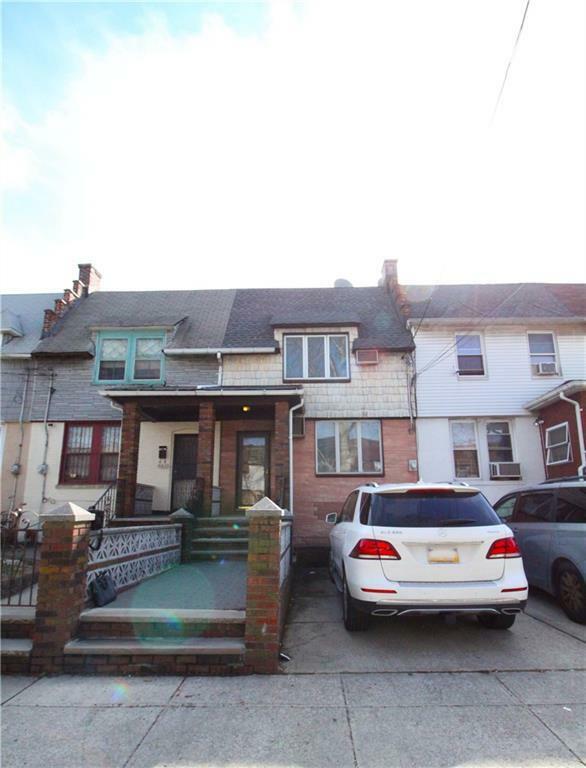 Spectacular Single Family located in Prime Bensonhurst! Location / Location / Location! Move in ready - Great condition. 3 bedroom Duplex over a finished basement! Basement has a separate entrance - currently used as a recreational room w. A full Bathroom. 1st floor features Formal Living Room, Dining Room, Eat in Kitchen. 2nd Floor - 3 large bedrooms and 1 Full Bath. 1 legal private parking space, Spacious backyard. Motivated Seller + Cooperative Listing Agent = Sold!